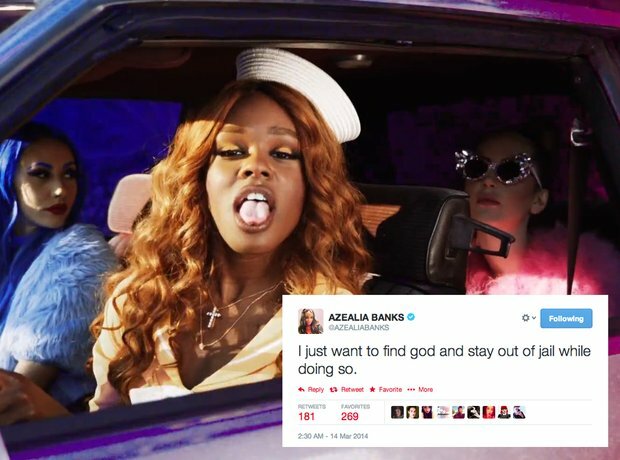 2) When Azealia Banks said what no one was thinking. 2. 2) When Azealia Banks said what no one was thinking. "I just want to find God and stay out of jail while doing so."